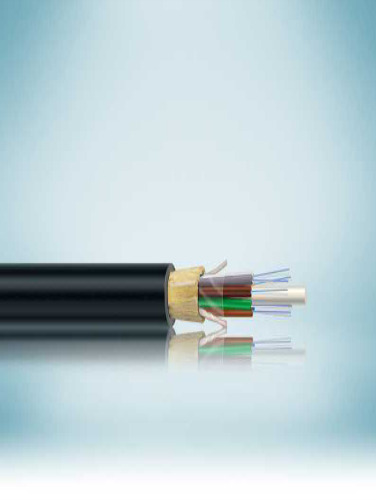 Multi – Tube Single Sheath ADSS Cable (2F - 144F) fibers are placed inside filled buffer tubes containing gel. The core is constructed by stranding the buffer tubes around a central strength member. The core is covered with a water-blocking tape. Aramid yarns and a black outer sheath are applied. A ripcord is provided under the armour for ease of access.